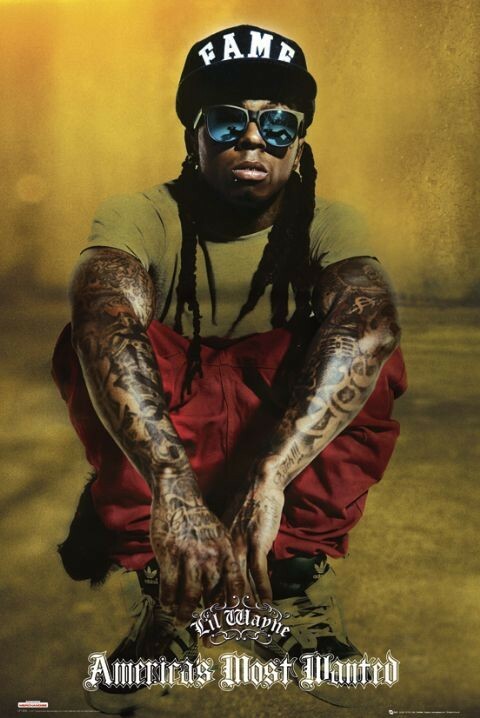 Lil Wayne posters: Lil Wayne poster featuring a shot of Lil Wayne crouching and wearing shades and a Fame baseball cap. 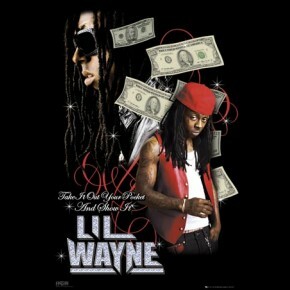 In this Lil Wayne poster America's Most Wanted is written across the bottom. Lil Wayne aka Dwayne Michael Carter, Jr is a Grammy Award winning US rapper who released his first album in 1999. Official Lil Wayne poster.